Lapsang Souchong is one of China’s oldest teas and among the first teas that Dutch traders brought back to Europe in the 17th century. Much later, the English, including Winston Churchill in modern times, would acquire a taste for the strong ‘tarry’ tea. 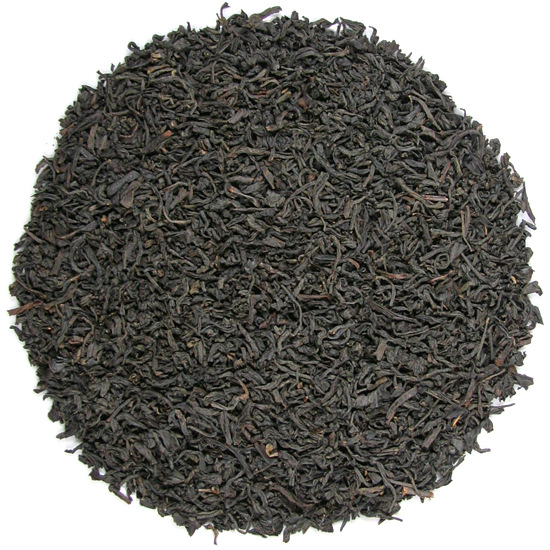 Lapsang Souchong is classified as a scented black tea because of the fact that it is smoked. It is made in the Wu Yi Shan, a mountainous region of rocky cliffs and bamboo and pine forests located in northern Fujian Province, China. The original and authentic Lapsang Souchong is called Zheng Shan Xiao Zhong, and is made from fresh leaf plucked from the tea gardens located around Tongmu village on Zheng Shan, within the protected nature preserve that surrounds the smoking sheds. Zheng Shan Xiao Zhong is delicately smoked during the withering step of tea processing. Pine wood is burned in an outdoor firebox and the smoke is drawn into the lower level of the smoking shed. The fresh leaf is laid out to wither on a slatted floor above, and the smoke wafts up to scent it. Finished black tea from other places is smoked in these sheds, too, but this already fully-oxidized leaf is given the equivalent of a ‘hot’ smoking, which creates a stronger, smokier tea. Our two ‘modern style’ Lapsang Souchongs are manufactured this way – one here and one on Taiwan. 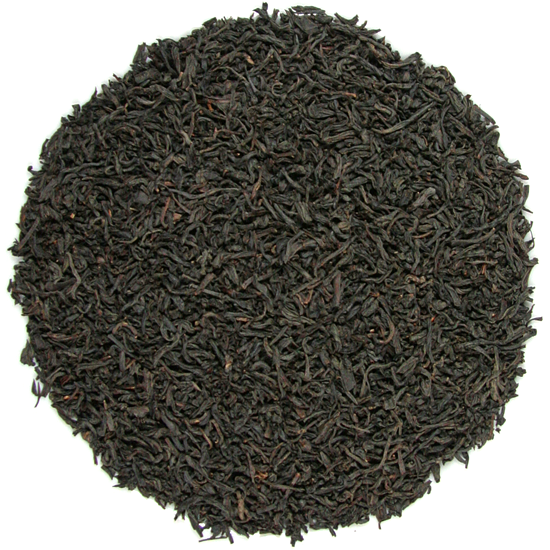 Many enthusiasts drink our Lapsang Souchongs ‘straight up’; others prefer to add a pinch or two of it to their favorite black tea blend for a delicate suggestion of smoky flavor. Mary Lou’s photograph shows one of the Lapsang Souchong smoking sheds near Tongmu village that we were granted special permission to visit in 2006.